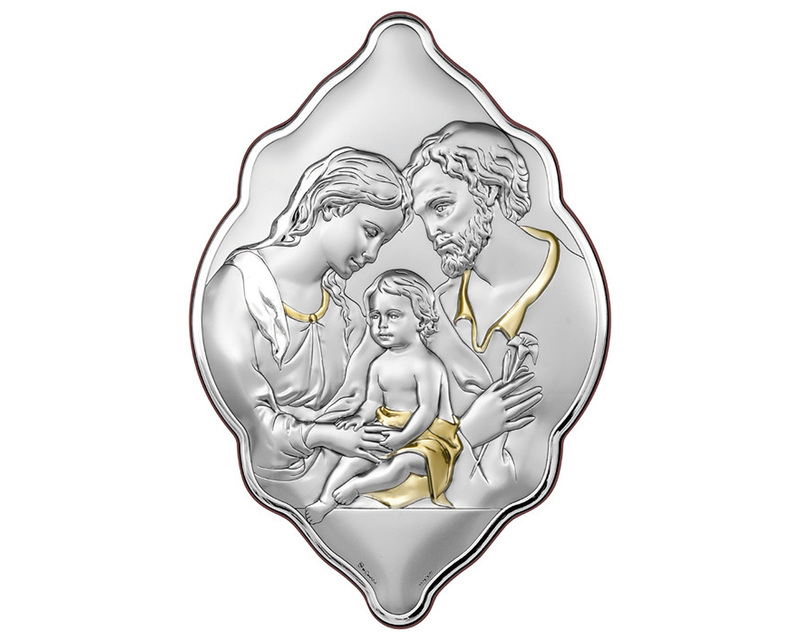 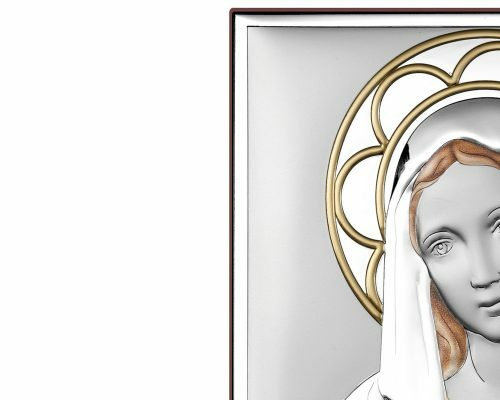 Silver/Gold Bas-relief depicting the Holy Family with Baby Jesus (New Frame – Silver/Gold colours). 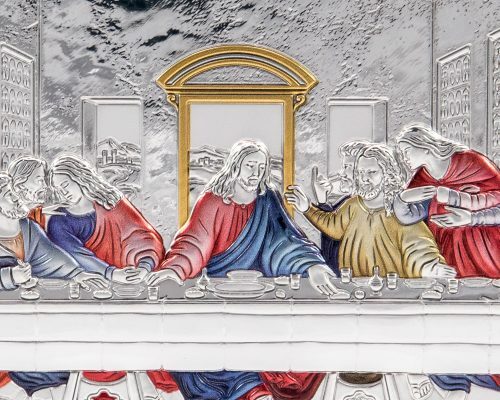 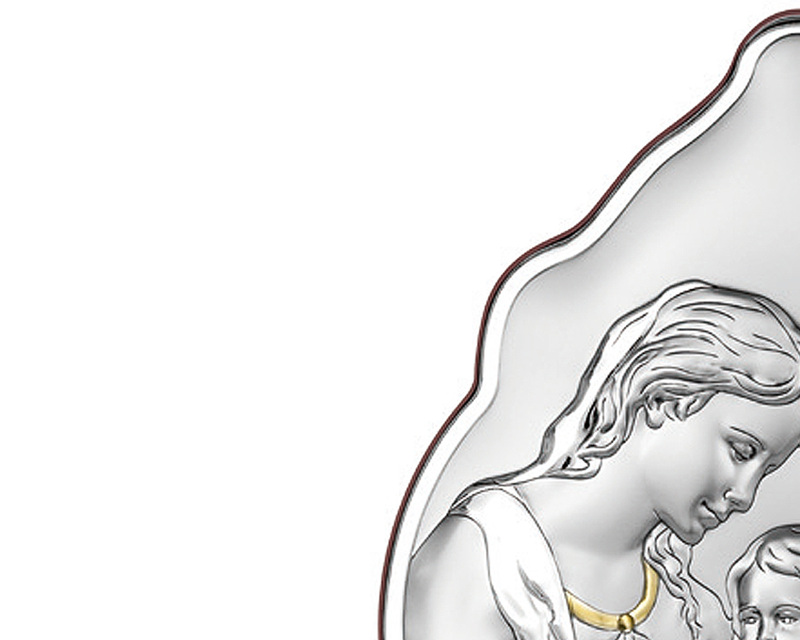 This decorated Bas-relief is in anti-oxidizing silver/aluminium laminboard. 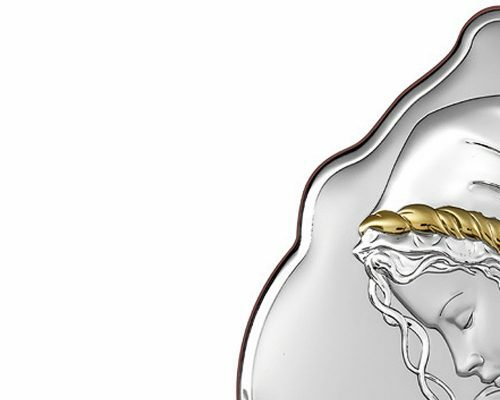 The surface is glossy and polished. 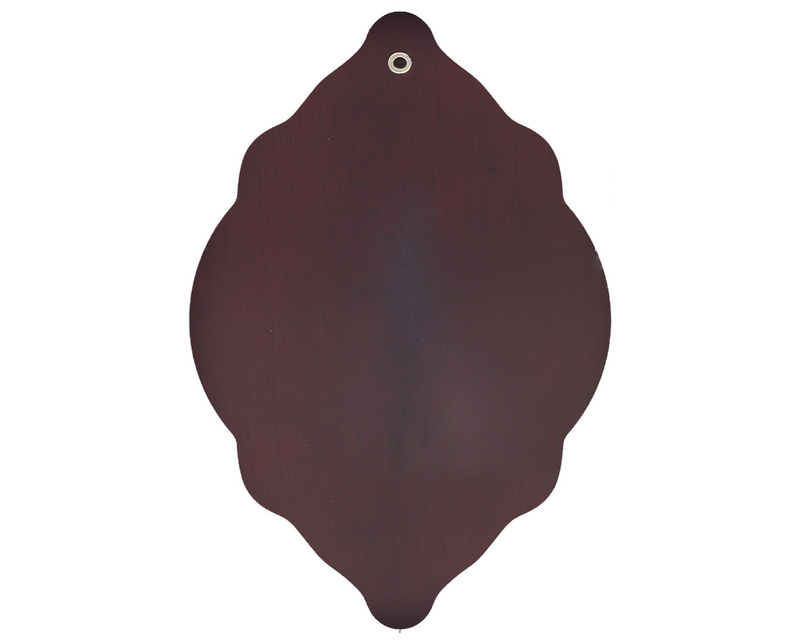 The back side of the bas-relief is in wood and it is provided with a tongue to be hanged on the wall. 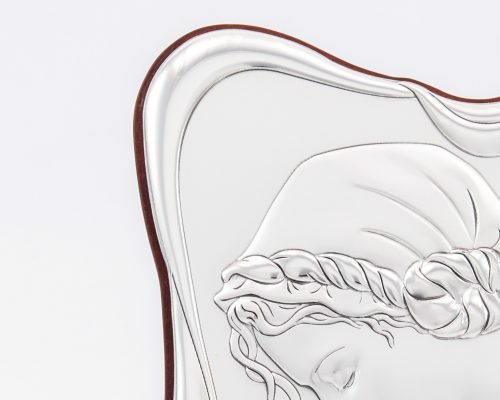 The bas-relief comes in a box and with certificate of authenticity.